With the Government of India declaring big time incentives for the electric vehicles sold or made in India, the well known electric car in India, the Maini or Mahindra Reva has witnessed a 3 fold increase in demand. The 20 percent subsidy figure was announced by Ministry of New and Renewable Energy (MNRE) way back in November 2010. Usually Mahindra manages to sell only 600 electric cars every year however its rumored that this figure has been already crossed for the year 2011 and Mahindra has now set a new sales target of 3000 units every year and the company is very hopeful that this target would be achieved with surplus sales coming in its way. The company however is tight lipped about the number of units sold so far in this fiscal. 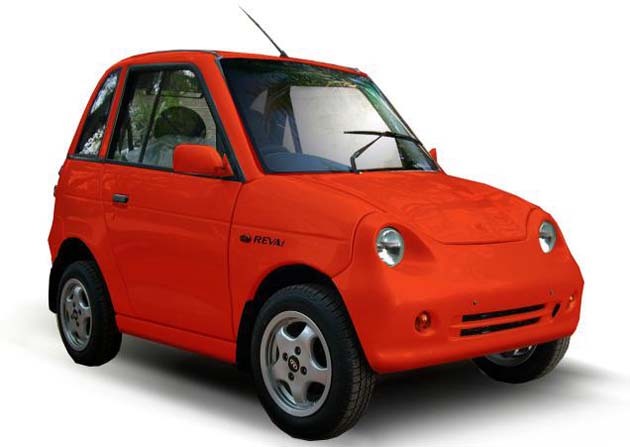 The Reva i has got a discount of Rs 75,000 going for it with the new subsidies in place. The top end electric car with AC now goes for Rs 3.7 lakhs whereas the base non AC version now retails at Rs 3.2 lakhs. This figures are a drastic cut from the earlier Rs 4.5 lakhs and Rs 3.9 lakhs respectively. The excise duties have been however increased and this has resulted in excise duties rising from the previous 4% to 5 % now. This has resulted in a slight increase in the price of electric cars now. VAT however has been abolished for the electric cars and hence the costs are more or less leveled.